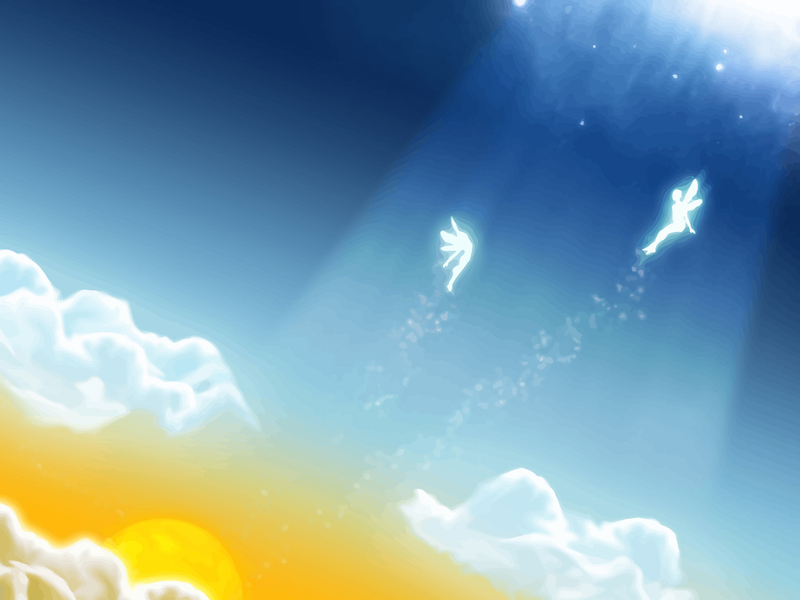 Free fairytale vector dream illustration wallpaper with elves flying high in the sky. Beautiful vector backdrop with setting sun, sunrays, clouds and fairytale characters. Cute angel silhouettes in the sky. Visit FreeVector.com to find more fantasy, elves or angels wallpaper graphics and share yours. All images are copyright of the respective owners.